Mikey Henry, who was homeless in Boston for years, recently battled cancer, and his many friends on Beacon Hill and elsewhere were worried. Mikey was born in Greenville, S.C., 62 years ago. He came to Boston as a teenager with his mother and his uncle to escape his father. Mikey’s father, Walter Henry, was nothing if not persistent. Mikey and his father lived in a flophouse in the South End. After his father died, his uncle, a cab driver, moved in with him but later met a woman, and they moved back down south. Mikey couldn’t make the rent, so the landlord threw him out. That was about 40 years ago. Mikey has been on the street ever since. Mikey started panhandling on Winter Street in Downtown Crossing. On the Common, Mikey took to wearing a tie, because all the guys he was panhandling from wore ties. Dr. Jim O’Connell, the saint who founded the Boston Health Care for the Homeless Program, remembers meeting Mikey on a cold winter’s night in 1986. Mikey was standing at the kiosk for the stairs to the Boston Common garage. Mikey told Dr. Jim that he lived outside, on the Common, sleeping on the benches. O’Connell and his colleagues tried to get Mikey to move into an apartment. Robert Taylor, an architect from the South End, first met Mikey in 1996 after he dropped his daughter off at a Back Bay preschool and was walking through Boston Common on his way to his downtown office. For 10 years, Mikey Henry asked Robert Taylor for money, and for 10 years Robert Taylor politely declined. But their interactions remained cordial, and Taylor actually liked Mikey. Then, after 10 years, Mikey Henry stopped Robert Taylor in the Common and asked if he would handle his Social Security checks for him. Taylor agreed immediately. “We have been in cahoots ever since,” Taylor said. Last summer, Mikey felt some bumps along his clavicle. It didn’t feel right. He went to see his buddy Dr. Jim O’Connell, who felt the golf-ball size bumps and knew right away: lymph nodes. O’Connell was moved to tears when he escorted Mikey Henry into the cancer unit at Massachusetts General Hospital on Aug. 10, Mikey’s 62nd birthday. “The whole team treated Michael with such care and compassion, from the moment he walked in,” O’Connell said. 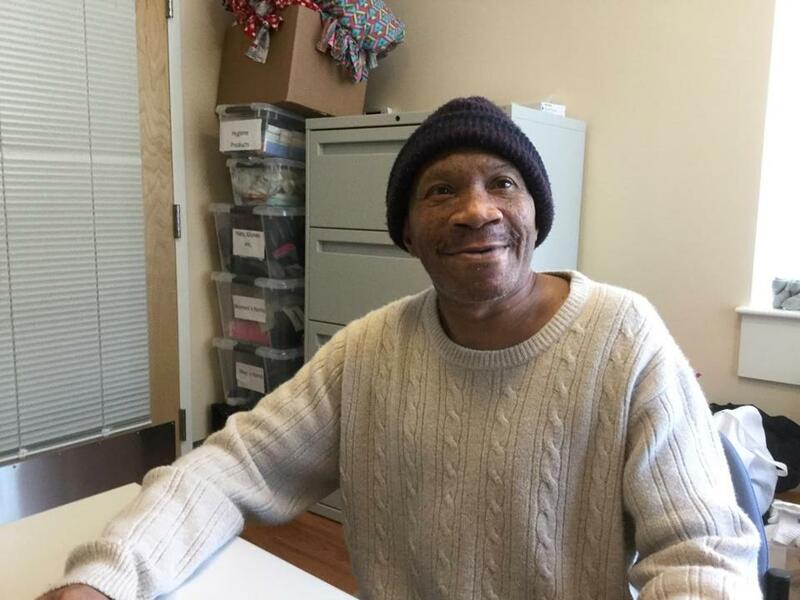 Mikey was in the hospital for two weeks, then spent four months in the Barbara McInnis House, a medical respite center at Boston Medical Center run by the Boston Health Care for the Homeless Program, before moving to the Stacy Kirkpatrick House in Jamaica Plain. And so for months, he wasn’t at any of his usual haunts. He wasn’t outside Starbucks at the corner of Charles and Beacon. He wasn’t on the Common. He wasn’t sleeping on the steps of St. John’s the Evangelist on Bowdoin Street. Mikey’s friends on Beacon Hill began to fear the worst. After not seeing Mikey for so long, Ben Starr, one of the officers at the Beacon Hill Civic Association, asked Mark Fuechec, a terrific young reporter for the small weekly newspaper called the Boston Guardian, to try to find Mikey. Fuechec, who only moved to Boston last August, was amazed by how many people on Beacon Hill knew Mikey and were worried about him. Eventually, after a Beacon Hill woman who was worried about Mikey suggested he may be in a care facility in Jamaica Plain, he tracked him to the Kirkpatrick House. They had a great chat, and after Fuechec’s story appeared in January, some of Mikey’s old friends began visiting him. A Boston cop named Leo Manning, who was friendly with Mikey, came in to see him. Those good friends have finally convinced Mikey to leave the streets. Jim O’Connell said it’s down to a small place on Beacon Hill, a bigger apartment in Charlestown, or a real nice apartment just down the street from where Mikey is staying right now in JP. Mikey told me he’s leaning toward the place in JP. But he’s going back to Beacon Hill. He’s figured out the route. He’ll take the bus to Ruggles Station, hop on the Orange Line, get off at Downtown Crossing, walk up Winter Street, cross Tremont, walk diagonally through the Common, and finally return to his spot at the corner of Charles and Beacon. It’s funny how we measure things. By most leading economic indicators, Mikey Henry is one of the poorest guys in Boston. But by the measures of the heart, Mikey Henry, the Pope of Beacon Hill, is the richest guy in town. He can’t wait to get back to the corner, where he can watch the crowds go by, feel the sunshine on his face and say hello to all his friends. There’s someone in particular that Mikey Henry wants to see.